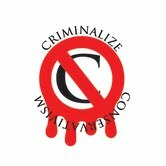 Criminalize Conservatism: The Lie of The "Free Market." The Lie of The "Free Market." 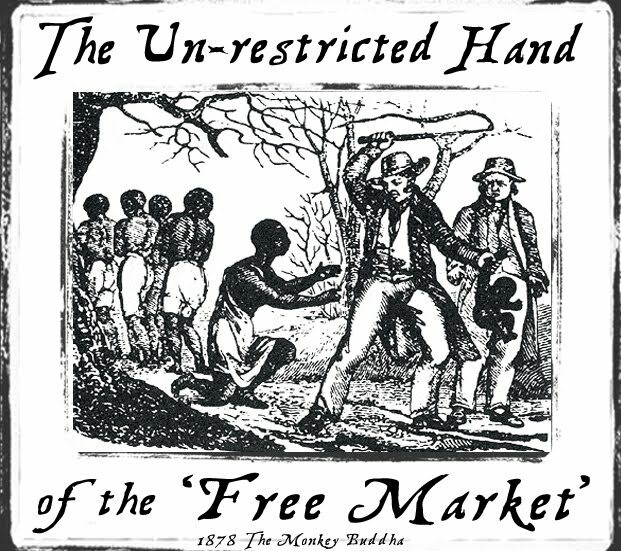 "Excerpted from Thom Hartmann's newest book, http://www.buzzflash.com/store/reviews/305"> Screwed; The Undeclared War Against the Middle Class -- And What We Can Do About It The Lie of the Free Market. "Listen to the right-wing pundits--the people I call the cons--and they will tell you something completely different. They suggest (and some actually believe) that a middle class will naturally spring into being when the kingdoms of corporate power are freed from government restrictions. 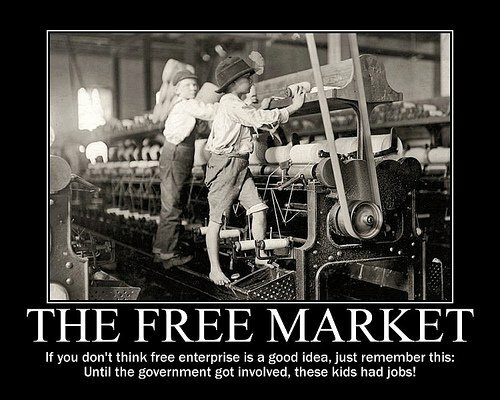 "The way to create good jobs, according to the cons, is to 'free' the market. When business gets to do whatever it wants, they say, it will create wealth, and that wealth will trickle down to the rest of us, creating a middle class. 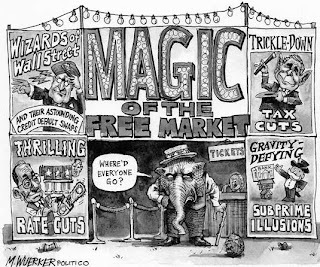 "The con's belief in 'free' markets is a bit like the old Catholic Church's insistence that the Earth was at the center of the solar system. 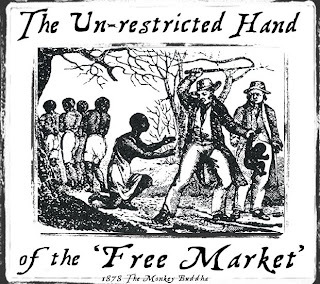 The free-market line is widely believed by those in power, and those who challenge this belief are labeled heretics--and it's wrong. 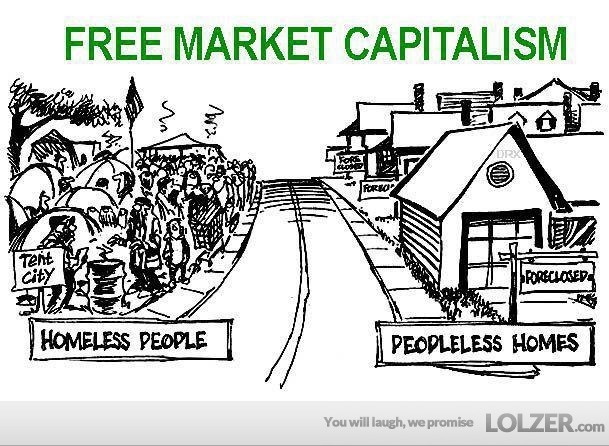 "There is no such thing as a "free" market. Markets are the creation of government." "Governments provide markets with a stable currency for financial transactions. They provide a legal infrastructure and court systems to enforce the contracts that make the market possible. They provide educated workforces through public education, and those workers show up at their places of business after traveling on public roads, rails, and airways provided by the government. 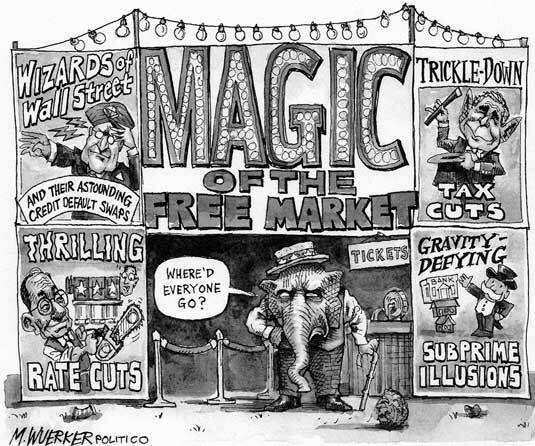 Businesses that use the 'free' market are protected by police and fire departments provided by the government, and they send their communications--from phone to e-mail--over lines that follow public rights of way maintained and protected by the government. "And, most important, the rules of the game of business are defined by the government. Any sports fan can tell you that without rules and referees football, baseball, basketball, and hockey would be a mess. Similarly, business without rules won't work. In a corporate kingdom--a corporatocracy--those rules are made by the businesses themselves and will inevitably screw workers and citizens. In a democracy those rules are made by We the People, both through our elected representatives and through union negotiations with the business kings/lords/CEOs. "Sure, it's easy to laugh along and think that government is bad--until you need government. Until you've been taken advantage of and want to use the government court system, or you get old and sick and need Medicare, or your house catches fire and you'd like your local fire department to come by and put it out. "The cons exploit this with the 'It's your money' lie. 'It's your money, and the liberals want it!' shout cons on the radio. They're talking about taxes, of course. But are our tax dollars really 'our' money? "If I walk into a 7-Eleven store with a dollar in my pocket and say, 'Gee, I'd really like that Hershey bar,' and if I tear it open and take a bite out of it, that Hershey bar now belongs to me. And that dollar belongs to 7-Eleven, even though it's still in my pocket. It's pretty simple. As soon as I used the candy bar, I'd entered into an agreement to pay for it. It's a form of a contract even though I've never signed anything with a convenience store in my life. It's not my money anymore, even though it's still in my pocket, once I take possession of the candy bar. "We make an agreement by staying in this country that we will live by its rules. "I get up in the morning and the lights come on because my government is regulating the local utility for both safety and reliability. (FDR had to force electric utilities to serve many communities--thus the Rural Electrification Administration.) I open the tap to brush my teeth, and the water is pure because my government has purified it and delivered it to me from miles away in a safe fashion. The toothpaste I use isn't poisonous because the government passed laws that make it possible for aggrieved consumers to sue if they're harmed. Its ingredients are listed because the government requires it. "When I drive to work, the streets are paved by my government, and the streetlights work because my government planned them right and keeps them in good working order. The radio station where I broadcast from can do business because my government provides a stable currency and a framework of contract laws that allow a corporation to exist and function. The food I eat for lunch at a nearby restaurant is safe both because it was inspected at its source by the U.S. Department of Agriculture and because the local government checks our restaurants for sanitary conditions. I can eat without worrying that bandits are going to run into the restaurant and demand everybody's wallet because the police are on the job. And I can go about my day without worrying that we'll be bombed by invaders from another country because the State Department and the U.S. Army both negotiate and protect our nation. With a little bit of thought, you can add dozens of other things to this list--all provided with taxpayer dollars. "Living in this society and using these services is like picking up and biting into the Hershey bar at the 7-Eleven: I've agreed to pay for them because I live here and I use them. The form of my agreement is called taxes. Therefore the money from my paycheck that goes to pay my taxes is not my money. It's the money I owe to cover the cost associated with the things I use each and every day. To suggest that it's 'my' money is to spit in the face of our Founders--to suggest that somehow each of us is above and separate from the social contract we've all agreed to by living in this great nation. 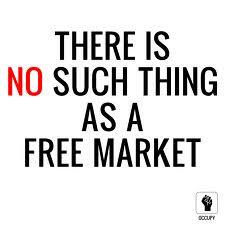 "When the cons say, 'It's your money,' what they really mean is that they don't believe in the social contract. They don't believe in paying for the services we use every day or in taking care of the poor and the sick and the elderly who can't take care of themselves. They are anti-American, anti-democracy, anti-Christian (and anti-Jewish and anti--every other major religion) zealots. They are a danger to our democracy and our country. 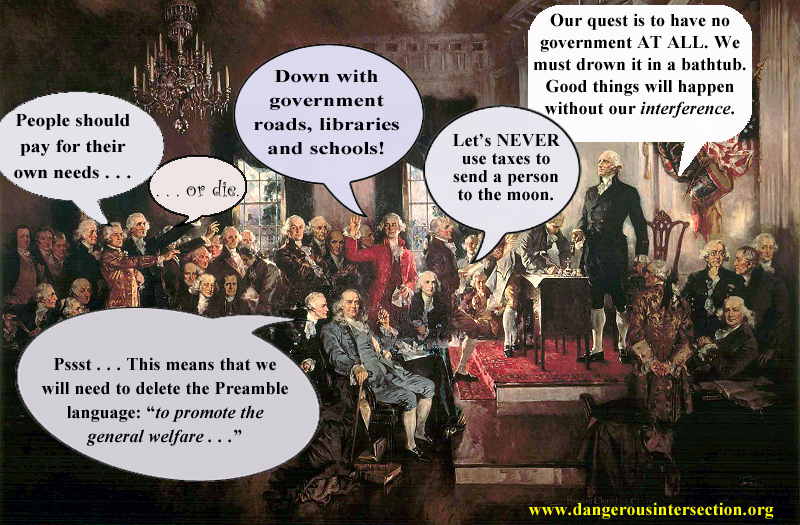 "But the cons--who since the days when John Adams called working people 'the rabble' --fought back. A true middle class represented a threat to America's aristocrats and pseudo-aristocrats because a middle class will always create a democracy. The cons would have to give up some of their power, and some of the higher end of their wealth might even be 'redistributed' --horror of horrors--for schools, parks, libraries, and other things that support a healthy middle-class society (but not necessarily the rich, who live in a parallel, but separate, world). "When today's cons make tax a dirty word, they are really saying they don't care if the middle class gets screwed. As president, Reagan cut the top tax rate for billionaires from 70 percent to 28 percent while effectively raising taxes on working people via the payroll tax; he added insult to injury by allowing inflation to increase a whole range of taxes (sales tax, property tax, vehicle license fees, and so on) on working people. Following in that tradition, the Bush Jr. administration gave, in its first four years, tax cuts totaling almost half a trillion dollars to the best-off 1 percent of Americans. "Even as taxes on the rich go down, they've gone up on the middle class (in part because they've gone down for the rich and somebody has to pay the cost of all the commons we use). If you made $75,000 in 2001, you saw only $350 in tax cuts from the federal government. In 2005, 80 percent of Americans got only 32 percent of the total tax-cut pie. That means the wealthiest 20 percent of Americans got 68 percent of the money the government was 'giving back to the people.' Unless you were making more than $218,000 a year in 2005, you got screwed by Bush's tax cuts. 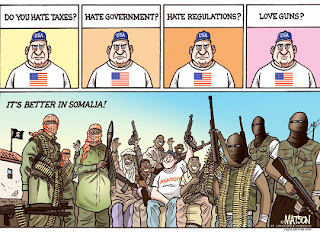 "It's all part of the cons' undeclared war on the middle class." 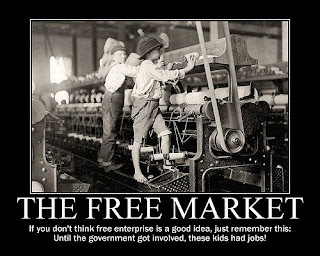 Don't let the Sheeplets' mantra of "free markets" trump you anymore. Save or remember this post for future confrontations with the Sheeplets -- who knows, maybe they'll actually learn something. steady, that thou stumble not."